One for the gin lovers! 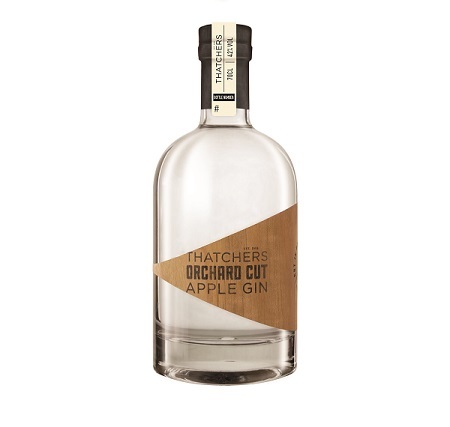 Thatchers Cider has now launched its first ever apple gin – Thatchers Orchard Cut. Crafted with cider from Thatchers’ Katy apples, the gin is distilled by the English Spirit Distillery, using a variety of botanicals, as well as fresh apple for characteristic flavour. Thatchers Orchard Cut is citrusy and refreshing, with floral and apple notes. The botanicals include juniper, local Somerset lavender, coriander, macadamia nut, buttercup, Seville orange, lemon and lime, and have been chosen to work alongside the apple flavours, providing a balanced drink with floral and fruity notes. The Thatchers team recommend serving Orchard Cut in a cocktail with 1 part gin, topped up with Thatchers Haze, and decorated with mint, cucumber and a slice of red apple. Thatchers Orchard Cut is 42% ABV, and retails at £33.99 from the Thatchers Cider Shop at Myrtle Farm.